This entry was posted on December 24, 2010 at December 24, 2010 and is filed under Uncategorized. You can follow any responses to this entry through the RSS 2.0 feed. how did you make this, and what would be the charge for one? It took some major hacking into an Eldar Fire Prism and a Dark Eldar Ravager. 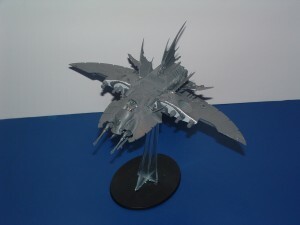 I would charge someone $125 to build one straight away, or $180 painted to a good tabletop standard.